The relevance of this decision established Murphy v. McSorley as seminal case in Canadian Law further establishing the legal definition of a contract, while at the same time clarifying the role of the Courts in contract disputes. The Murphy v. McSorley decision has been referenced extensively in subsequent contract disputes such as Bonilla v. Ciurariu, Manparr v. Canada, 0723922 B.C. Ltd. v. Karma Management Systems Ltd.(DBA Madame Cleo’s) and similar case law where the terms of a contract are called into question. Contracts 101- What is a Contract? 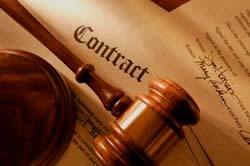 There are many definitions of contracts, but in general a contract is an agreement between parties that is enforceable by law. While a contract always involves an agreement, not every agreement is a contract. Below are 2 examples. Example 1: Daniel has a car for sale. He offers to sell it to Chuck for $5,000. Chuck agrees to pay Daniel his asking price. They both agree that the money will be paid on Friday. On Thursday Daniel calls Chuck and explains that he’s changed his mind and that the car is no longer for sale. Can Chuck sue Daniel for breach of contact? Example 2: Jack and Jill are friends. Jack asks Jill over for dinner this Saturday night at 5:00 pm. Jill accepts. Jack spends $100.00 hiring an executive chief to make dinner for Jill. Jill does not show up. Can Jack sue Jill for breach of contract? An agreement as evidenced by Offer and Acceptance. There must be consideration or in other words, and exchange of something of value. There must be mental capacity or legality. What this means is both parties must be in a lawful position to enter into a contract. Example 1: Can Chuck sue Daniel for breach of contact? Yes. Chuck could take Daniel to court for breach of contract as all the elements of a contract were present—agreement as evidenced by Offer and Acceptance, an intention to create a legal relationship, consideration (Daniel to give Chuck a car in exchange for $5,000) and both adults were of sound mind. Scenario 2: Can Jack sue Jill for breach of contract? No.